We've got the greatest total range ! Discussion in 'Prime Fuel Economy & EV Range' started by Marine Ray, Apr 15, 2019 at 11:10 PM. Hayman66, jerrymildred, benagi and 1 other person like this. I recall talking to a friend once and he mentioned that he'd like to have a combined range of over 600 miles. I thought to myself (you know there's only a handful of cars that can actually go over 600 miles) and then I blurted that out. jerrymildred, EazyPeazy and Marine Ray like this. Now that I can charge at work, I have been getting routine over 1000 miles combined per fill up. That’s going over 70 miles per day. Loving that! Tideland Prius and Marine Ray like this. I did like the range on my VW TDI - reliably 700 miles per tank. FWIW the 2018 Ford F-150's optional 36-gallon tank would offer 936 miles of range with the smaller turbocharged 2.7-liter EcoBoost V-6 and rear-wheel drive. Not related to EV, but just curious. 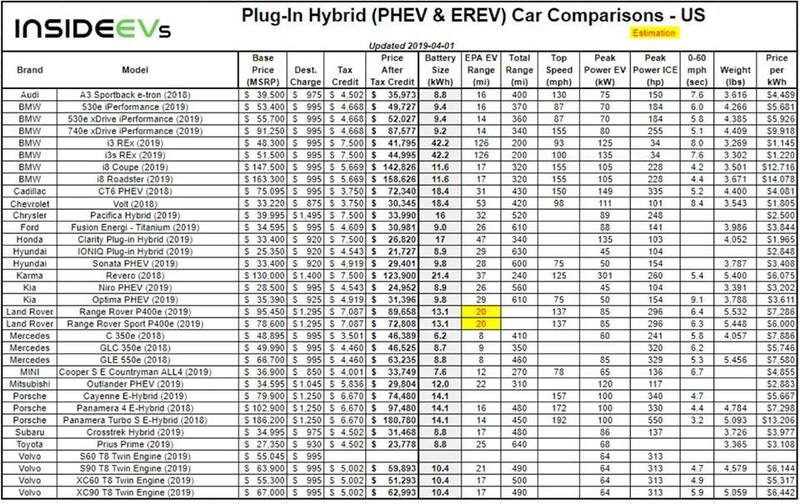 Why is the Pacifica Hybrid destination charge so much higher than other vehicles? I always thought the destination charge is based on freight cost for import. Is Pacifica imported? 199.9 or True Average for Total MPG Figuring? Total Range for the Prime?